Happy April everyone! I hope the long weekend was relaxing and that you hopefully didn't eat chocolate till you were sick (although it is sometimes tempting). My family & I went to Taupo again which is becoming one of my favourite places. I started the weekend with good intentions and brought my uni readings and intended to work on my assignments (one of which is due this week). Didn't do any reading, did work a little bit on one assignment. I just couldn't get into it, I was in holiday mode and not in my usual setting. Now that I'm back home I really need to get to it. Before I left I'd pretty much finished The Boat Runner* and when I got home tonight (last night as you're reading this) I finished it off. Usually, there's a gap between when I finish a book to when I write about it which isn't really good for me as I tend to forget the plot. Not this time (hopefully). The story revolves around Jacob Koopman, he is 14 years old when WW2 starts and he lives in a small Dutch town with his parents, brother & uncle. The narrative chronicles how the war impacts on his life; his town, friends, family as well as his own view of what is happening around him. As with any story set during a war, there are events which are tragic, and for Jacob three major ones greatly impact on his life. As a result, he makes a rash decision and enlists in the German army where he uses his experiences from helping his uncle on a fishing boat. He tries to forget/block out everything that's happened to him but the realities of war start to sink in and with the help of his uncle he attempts to leave Europe and head for Canada. As much as the story is about the physical journey Jacob takes it's really more about his emotional/mental journey. With the loss of his family/home/himself, he gets lost in the machine that is war and doesn't know who he is anymore. He kind of regains his sense of self at the end, becoming a boat runner and giving safe passage to Jewish refugees. 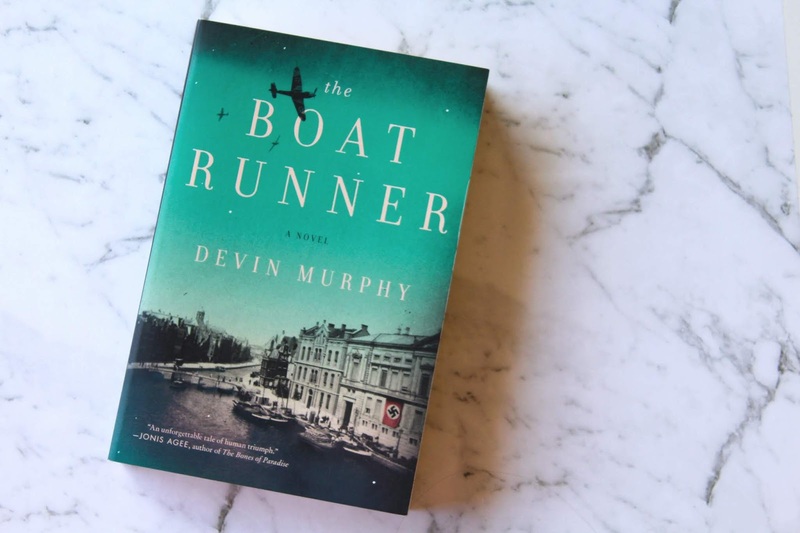 Have you read The Boat Runner? What were your thoughts?